Professional Plumbing offers quality septic services at reasonable rates. We cater to residential, commercial, and industrial needs. We bring years of experience to every job, whether installing a new septic tank or repairing an old one. A properly maintained septic system can considerably reduce future problems. Owner, Robert Jennings, has helped many customers by installing septic tanks, providing pumping services and repairing septic tanks and systems throughout Placer County and El Dorado County. He has seen every potential problem and can typically fix any issue in a few hours. Homeowners should understand maintenance is a key component to make sure your system runs well and lasts for many years. Let Robert educate you so that you can identify any potential problems early on. 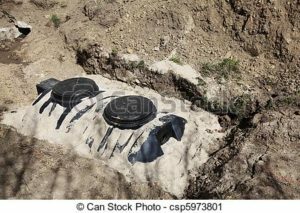 Why Should I Get My Septic System Inspected? What Does A Septic System Inspection Include? Placer County and El Dorado County, especially the cities of Auburn, Grass Valley, Colfax, Newcastle, Loomis, Penryn, Rocklin, Roseville, Meadow Vista, Foresthill, Georgetown, Sacramento, Citrus Heights, Lincoln and Antelope.